Quantum physicists are discovering facts about the world that we would never have thought to be possible. The scientific breakthroughs that have taken place in the last few years are as significant to our understanding of reality as Copernicus’s outline of the solar system. The problem? Many of us simply do not understand quantum physics. And this all began roughly a hundred years ago, when physicists began challenging the assumption that the physical space and universe that we see around us is actually “real”. Scientists decided that to prove that reality was not, in fact, simply an illusion, they had to discover the “point particle”, and this would be accomplished with innovations like the Large Hadron Collider. This machine was initially built to smash particles into one another, and this is where they made the greatest discovery: the physical world is not as physical as we believe. Reality is an illusion as we see it. Instead, everything around us is just energy. We think of the atom as an organized group of electrons and protons zooming around a neutron, but this figure is completely wrong. The particles that make up the atoms have no structure or size, no weight or physical presence. They have no height, length, width, or weight, and are nothing more than events in time. They have zero dimensions. Electrons also do not have a singular presence—they are both a particle and a wave simultaneously, depending on how they are observed. They are never in a single location at a single moment, and instead exist in several moments at the same time. 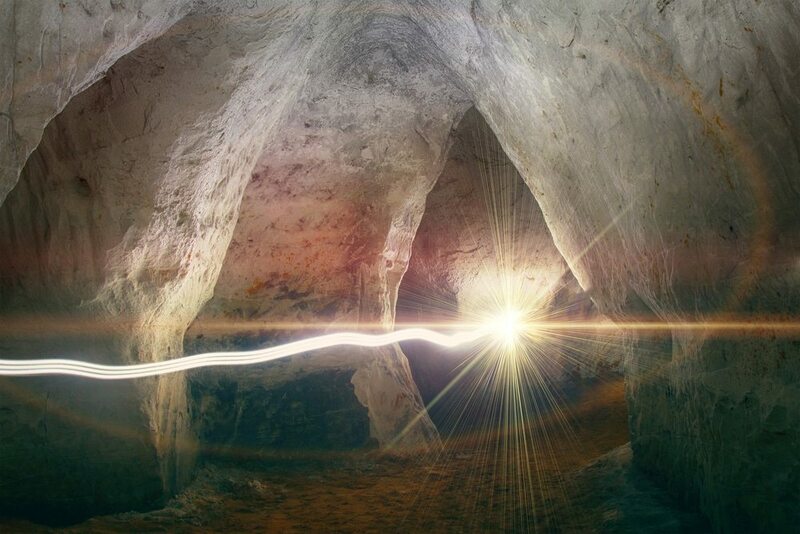 Scientists also discovered what is known as the “superposition”, in which several particles aside from electrons can be proven to exist in multiple places at a single moment. It means that the more we discover about the subatomic world, the more we discover that we know nothing about the true nature of reality at all. Many scientists have come to the Copenhagen Interpretation as their conclusion for understanding reality. The Copenhagen Interpretation comes from the school of quantum mechanics, and it believes that reality does not exist without an observer to observe it. As reality is nothing more than energy (what gives us physicality if the smallest parts of us have no physical characteristics? ), then the energy is conscious when consciousness is observing it. This may be difficult to understand. Think of it this way: since particles exist in several areas at the same time, then it must respond to an observation by choosing to exist in a singular location, allowing the observer to have an image to observe. A growing number of researchers in this field believe that reality exists only because human consciousness wills it to exist, by interacting with the energy that makes up the universe. Another mind-blowing discovery in quantum physics is entanglement. Entanglement is when a pair of particles have interacted and have affected the spin of the other particle. What’s strange is that once these two particles have become tangled with one another, they can never become untangled. No matter how far apart they may stretch from the other, the spin of one particle will always affect the spin of the other. Researchers have observed this in living cells, communicating over far distances. In one famous experiment, researchers grew algae cells in a petri dish. They then separated these cells into two halves, taking one half to another laboratory. What they found was that no matter how much they separated the two dishes, a low-voltage current applied on one dish would always affect the cells in the other dish in the exact same way at the exact same moment. Understanding this requires shifting the way we think of the universe. We can no longer think of the universe as a physical realm in which the things we observe and sense are all that exists. Instead, as famous physicist Sir Roger Penrose theorized, we must envision the universe as nothing but information. We must believe that the physical universe is just a product of an abstract universe, in which we are all connected in an unobservable way. Information is simply embedded into the physical constructs of the physical universe, but is transmitted to our physical states from the abstract realm, first theorized by Greek philosopher, Plato. Simply put, everything is nothing but energy. You have never touched anything, and you never will. The electrons that make up your atoms repulse against the electrons of other physical entities, making it impossible for you to interact with other material at the subatomic level. If we are not touching anything, then what is it that we feel when we “touch”? How is the world physical when the building blocks that make it have no dimensions? How is anything real, and what does real mean? Is reality determined by physicality? Men love strong women. It’s a fact. But what is it about these women that makes them strong? How are they able to attract men in ways that seem impossible to the rest of us? 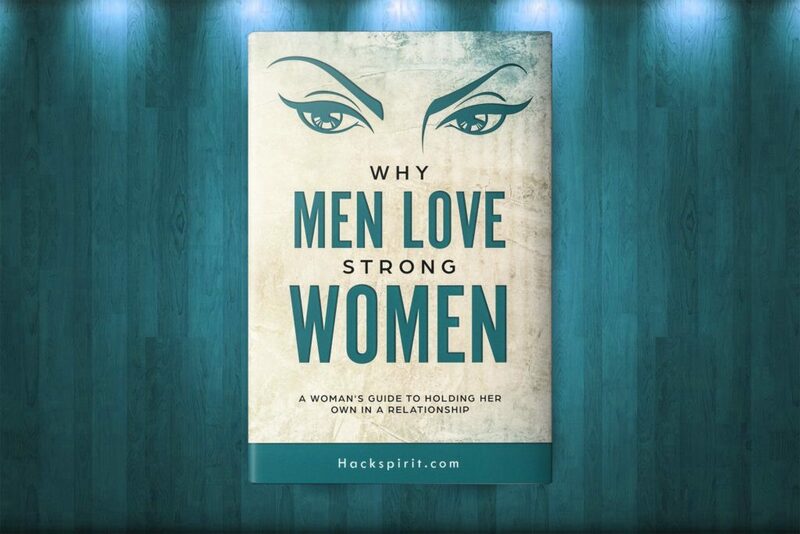 In Hack Spirit's new eBook, Why Men Love Strong Women: A Woman's Guide to Holding Her Own in a Relationship, we outline why men love strong women, and how women can unleash their strength and beauty in a must-have package. Here are 6 health benefits of Cordyceps but do you know the ugly truth?